Instagram has rolled out a new feature called IGTV (or Instagram TV) which allows you to post vertical videos of the time duration between 15 seconds and 10 minutes long. When you upload a video on IGTV, it will appear on your profile like story highlights. Instagram has a separate section (and even app also) for IGTV where it displays popular and relevant content to users. You may come across many videos on IGTV that you would like to save on your phone. Instagram doesn't have any feature to download IGTV videos. Luckily, there are a few other methods that can help you to download Instagram IGTV videos on your phone. That's what we are going to discuss in this tutorial. 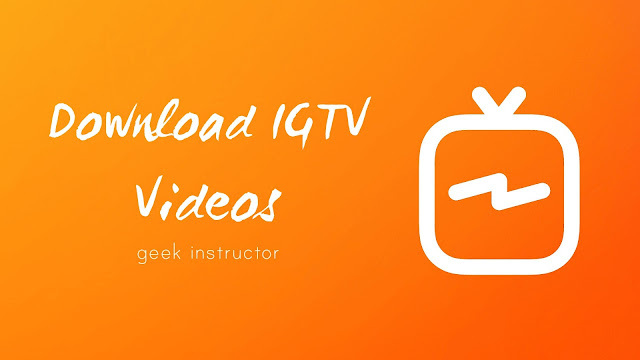 This is one of the best methods to download Instagram IGTV videos manually. You don't have to install any third-party application on your phone. First, open Instagram app and tap the IGTV icon at the top-right corner of the screen. Now find the video you want to download and click anywhere on the screen to display video playback options. Tap the menu button (three-dots) at the bottom and then click "Copy URL" option. After this, open Google Chrome and paste the copied URL. Add view-source: before the URL and load the webpage. Now you have to find the download link of the IGTV video. To find it quickly, tap the Chrome menu button (three-dots) and click "Find in page" option. 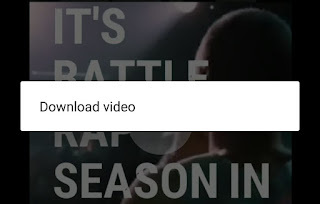 Type "og:video" in the search box and hit the search button. Now copy the URL under the content section as shown in the above picture and open it in a new tab. 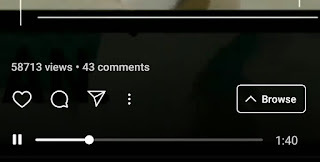 Finally, long-tap on the video and click "Download video" option. So that's how you can download Instagram IGTV videos on your phone without using any third-party application. 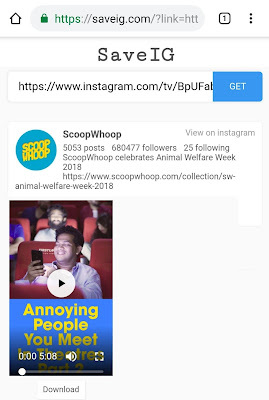 There are a number of third-party apps available on Google Play Store which can help you to download Instagram IGTV videos with just a few taps. First, download and install Video Downloader app on your phone. Open Instagram and tap the IGTV icon at the top. 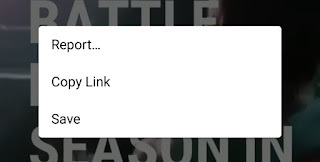 Tap menu button (three-dots) and click "Copy URL" option. After this, open the Video Downloader app and tap the "Paste" button. Once the app has finished downloading, the video will be moved to the History tab. 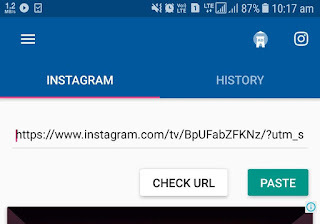 If you want to download Instagram IGTV videos quickly without using any third-party app, then you can use an online video downloader tool like SaveIG website. 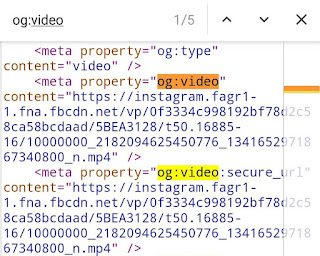 First, copy the URL of IGTV video you want to download (as explained in the above methods). After this, open the SaveIG website and paste the copied URL to download the video. So these are some methods that can help you to download Instagram IGTV videos on your phone. If you know any other better way, please share it with us in the comment section.